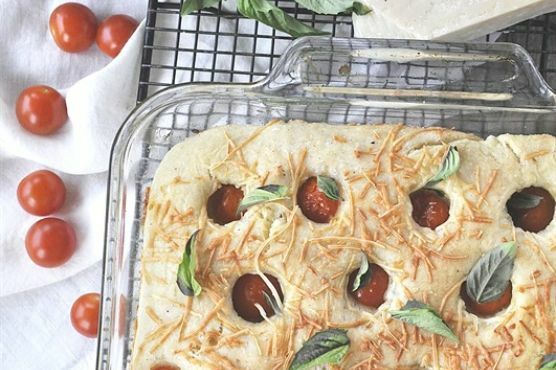 You can never have too many bread recipes, so give Easy Tomato Basil Focaccia Bread a try. This recipe serves 12 and costs 43 cents per serving. One serving contains 292 calories, 4g of protein, and 19g of fat. This recipe is liked by 46 foodies and cooks. If you have sea salt, parmesan cheese, fleischmann's® yeast, and a few other ingredients on hand, you can make it. This recipe is typical of Mediterranean cuisine. From preparation to the plate, this recipe takes approximately 1 hour and 20 minutes. All things considered, we decided this recipe deserves a spoonacular score of 58%. This score is solid. Try Kids Can Bake: Tomato-Basil Focaccia Bread, One-Hour Sun-dried Tomato, Basil, and Mozzarella Focaccia Bread, and basil focaccia bread , how to make basil focaccia bread for similar recipes. Italian works really well with Verdicchio, Chianti, and Trebbiano. Italians know food and they know wine. Trebbiano and Verdicchio are Italian white wines that pair well with fish and white meat, while Chianti is a great Italian red for heavier, bolder dishes. 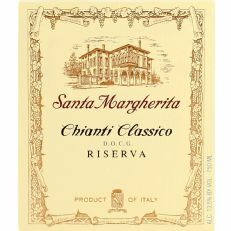 The Santa Margherita Chianti Classico Riserva with a 4.2 out of 5 star rating seems like a good match. It costs about 27 dollars per bottle.